The G7 ends in disarray. Trump & Trudeau exchange barbs. How did it come to this? The G7 summit ended in acrimony with Trump and Trudeau exchanging barbs. After parsing through all the coverage, here’s a rundown of the exchanges that led to the unprecedented clash and a story on what’s at stake with NAFTA et al. In other Business news: lumber prices set a new record; the price of fibre for BC and US-West pulp mills is at a six-year high; and EACOM welcomes Premier-elect Ford. In Forestry news: changes to BC’s caribou protection plan have Revelstoke city planners concerned; old Alberta seismic lines are planted to restore caribou habitat; BC Timber Sales is reviewing how it deals with legacy trees; Oregon reverses its decision to change the marbled murrelet from threatened to endangered; and climate change has the southern pine beetle marching north. Finally; Washington State conservationist’s choose clearcuts over housing developments near Mount St. Helens; and the practice of Silvopasture [trees & cows] makes headway in Michigan. The G7 summit has ended in acrimony, with US President Donald Trump lashing out at host Canada and retracting his endorsement of the joint statement. …Until just a few weeks ago, the relationship between Mr Trump and Mr Trudeau could have been called cordial. 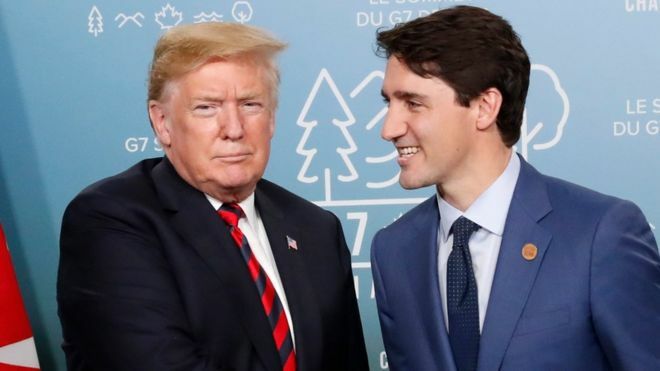 Despite differences between the two countries over trade – over everything from lumber to the major renegotiation of the North American Free Trade Agreement – the two men tended to speak positively about each other. No longer. The recent US decision to impose metals tariffs on Canada, the EU, and Mexico was a turning point. Mr Trudeau began using a much harsher tone. Polls indicate Canadians support the tougher stance. …Whether or not this new phase in the Canada-US relationship will allow some of the trade sticking points to be resolved is still to be seen. QUEBEC — The leaders of Canada and the United States are locked in an ugly, escalating public dispute over trade barriers, tariffs and how they think they world should resolve its problems. With U.S. President Donald Trump and Prime Minister Justin Trudeau at the centre of the dispute, the back and forth has intensified since just before the start of the month — when the Americans imposed hefty steel and aluminum tariffs on Canada. The situation only got messier from there, particularly in the leadup to, during and right after the G7 leaders’ summit. The G7 meeting in La Malbaie, Que., which was hosted by Trudeau, marked Trump’s first visit to Canada as president. 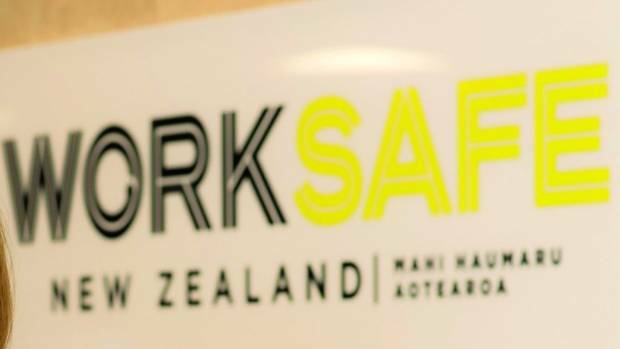 Here’s a blow-by-blow rundown of recent public exchanges that have led to an unprecedented political clash between otherwise friendly neighbours. QUEBEC — When Donald Trump boarded Air Force…he left behind a stormy wake of mixed signals… and threatened Canada with more trade action. …The United States is, by far, Canada’s biggest customer. Much of Canada’s export sector is tightly linked to having an open border with the United States. That makes the renegotiation of the North America Free Trade Agreement that Trump has instigated crucial to the future of Canadian investment and prosperity. The U.S. has recently thrown up or reinforced several barriers to that open border — in aerospace, lumber, and most recently steel and aluminum. With Trump and Trudeau exchanging increasingly personal and public insults, what happens to those NAFTA negotiations? Are Canada’s supply chains at risk? Are there enough reasonable conversations taking place with thoughtful American powerbrokers behind the scenes to help Canada escape a full-blown trade war that would devastate a wide range of sectors? EACOM Timber Corporation is pleased to welcome the new PC Ontario Government to office as well as all elected officials during this time of opportunity for the forest products sector and its communities. “A strong forest products sector is good for not only Ontario’s economy but critical for its environment and people. I am confident that the PC Government will seize the opportunity to support the sector to its full potential” said Kevin Edgson, EACOM President and CEO. Working forests are well positioned to deliver on key government priorities, including securing good jobs, supporting thriving communities, encouraging investments in innovation and fighting climate change. Lumber prices set a new record, and home prices are rising at rates not seen since 2006. Housing starts are at their strongest level in 11 years. Recent trends of lumber, logs, home construction and housing markets are reviewed in this month’s timber report. …This month, the log price inched up just under one percent, but the big news is 2×4 studs. Studs took a 17 percent leap in the last 4 weeks to an all-time price record of $463, up from $395 last month. …During the last week of May, the stud price inched up even further, to $480 per MBF. Logs are not cheap, so these product price increases are welcome. …Both housing starts and building permits have now been above an annual rate of 1.3 million for three months in a row, the first time in 11 years. 11 years ago, 1.3 million starts would have been a recession level. Not today. Bill Gamble stood before the crowd Thursday in the Sandbox and touted the work to restore its health. The Sandbox Vegetation Management Project encompassed 16,000 acres in the Blue Mountains near Union in the Upper Catherine Creek Watershed. … That includes thinning and timber sales, which the mass timber industry wants and needs. Mass timber is about engineering load-bearing structures of wood and using those to build big, such as Framework, the 12-story high rise going up in Portland this fall. Nearly all of the building is wood in one form or another, including cross-laminated timber, or CLT, which comes in panels the size of walls. The material is catching on in urban construction, but the U.S. lags behind its use in Canada, the United Kingdom and some other parts of Europe. BALTIMORE – A federal agency …thinks it may have part of the solution in big cities’ fight on crime: urban wood. 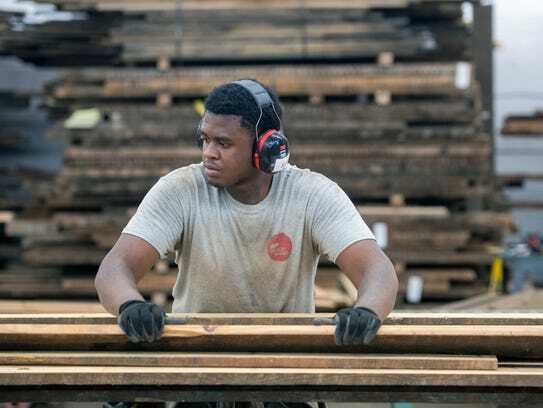 The U.S. Forest Service has quietly launched a “matchmaking” effort to connect non-profits employing formerly incarcerated workers who deconstruct abandoned buildings in big metropolises such as Baltimore with private companies looking for a dependable supply of reclaimed lumber. Agency officials say the partnerships could go a long way toward reducing the scourge of violent crime while decreasing the number of ex-offenders who return to prison… The wood project also fits the Forest Service mission because it helps keep good wood out of landfills as Maryland and Baltimore officials push forward with a program to demolish about 4,000 homes over the next four years, agency officials said. …The Forest Service is now on the hunt for more non-profits and companies using lumber in hopes of pairing them in similar fashion. Lendlease is to construct a new timber office tower at Barangaroo South as demand for the environmentally-friendly properties gains traction. The building will be known as Daramu House, which means “tree house” in the aboriginal Sydney Language, also known as Dharug and Eora. Its construction follows the completion of International House Sydney at Barangaroo, which is the new home for the advisory group, Accenture.Daramu House will be Lendlease’s sixth engineered timber building in Australia, and the third to have come out of the company’s precision timber manufacturing centre in Eastern Creek, Western Sydney.Aside from International House Sydney, there is 25 King Street in Brisbane, the Forte Apartments and Library at The Dock in Melbourne, and the Jordan Springs Community Hub in Western Sydney. A northern Alberta company has planted more than 80,000 trees along old seismic lines as part of a long-term plan to protect threatened woodland caribou. The 10-metre-wide cutlines built for oil and gas exploration allow wolves and other predators to catch caribou more easily than if they have to push through forest, said Jason Supernault, assistant manager of Eric Auger & Sons Contracting Ltd. Studies have determined that’s one factor in the decline of caribou herds that disappeared in Banff National Park and are under pressure elsewhere. …The Wabasca company spent a year preparing for the job, including consulting local Indigenous hunters and trappers to determine how best to balance their interest in the land, he said. Please find a picture attached of the new view scape for hundreds of home owners in Wynndel. This pic was taken from my yard without using a zoom lens. There are also a group of homes directly below the clear cut of this steep terrain. I’m sure you probably noticed this when you were in Creston on Friday. 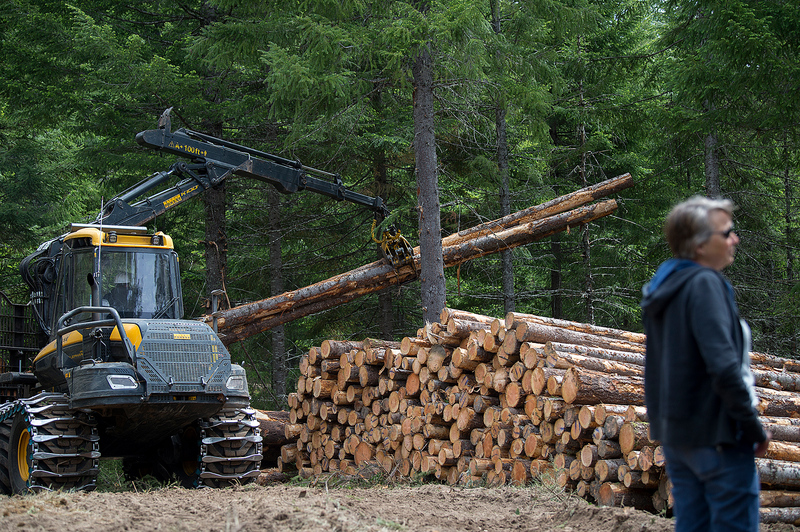 The logging company from Cranbrook has a history of buying private land, taking the trees then selling the land. If you are not familiar with the logging practices of Mike Jenks and his companies I urge you to google him — interesting stuff. I understand that private land logging is not regulated by the BC Forestry Act. Is this true? …Perhaps a moratorium on large scale private land logging would be in everyone’s best interest while the regulations and potential bylaws are reviewed. I support responsible forestry practices. An alarming new report from the City of Revelstoke’s economic development department warns potential changes to the provincial mountain caribou conservation program could significantly impact two of Revelstoke’s main economic drivers, specifically forestry and tourism. The potential resulting negative economic impacts would cause cascading socio-economic effects through the local economy. The city report dated June 12 highlights several alarming potential outcomes of changes to the mountain caribou conservation strategy, and a recent request from environmental groups for a federal emergency order to further protect mountain caribou critical habitat in the Revelstoke area. These outcomes include: -the removal of “between 65% and 100% of local [forestry] companies’ remaining Timber Harvesting Landbase”. …The B.C. government is currently ramping up its efforts to protect threatened southern mountain caribou populations. B.C. Timber Sales is reviewing its best management practices for legacy trees with the intent of strengthening a policy brought into question by old-growth logging near Port Alberni. The Crown agency (BCTS) and the B.C. government have been roundly criticized in recent weeks by conservationists and local First Nations for continuing to allow logging of ancient fir and cedar in the Nahmint Valley. Researchers aligned with the lobby group Ancient Forest Alliance pinpointed the logging last month of what was the ninth largest Douglas fir. They maintain that it’s one of many old-growth giants still being levelled in Vancouver Island forests. “Although it should be a no-brainer to protect B.C.’s biggest trees, what we ultimately need is protection for endangered forest ecosystems, which are under siege by commercial logging. Almost 11,000 hectares of old-growth forests were cut on Vancouver Island in 2016,” said Andrea Inness, an alliance campaigner. The City of Winnipeg is launching its campaign against the emerald ash borer on Monday, weather permitting. 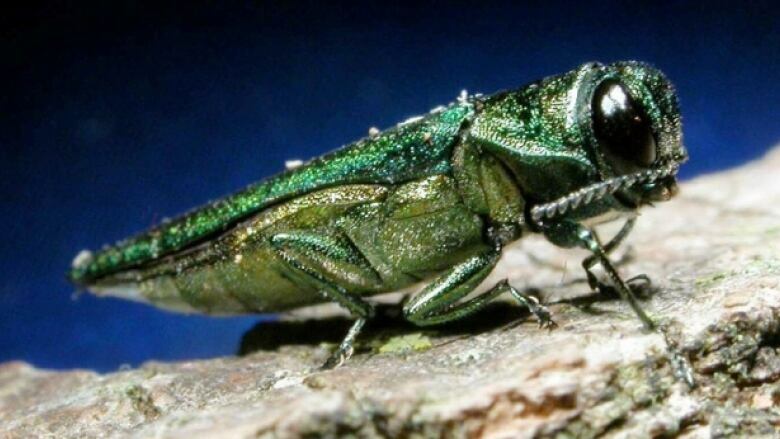 This is the first time the city has treated trees for the invasive beetle since city officials determined the ash borer was in Winnipeg last November. The city will inject trees with utilizing the insecticides IMA-jet or TreeAzin, a vaccine-like injectable. Part of the strategy includes injecting 1,000 ash trees on boulevards and parks, as well as removing up to 800 trees. The city will also place up to 200 traps to monitor for adult beetles. The city has more than 350,000 ash trees, and about 100,000 of those are on public property. The emerald ash borer management program will be limited to trees on public property. …Emerald ash borers were first detected in Detroit and Windsor, Ont., in 2002, and have been gradually moving west. A New Brunswick Liberal MP is calling on the Commons Standing Committee on Health to review the spraying of a controversial herbicide. Glyphosate, the ingredient in Monsanto’s popular weed-killers Roundup and VisionMax, is the top herbicide used in Canada and one of the most widely used in the world. It is used in both agriculture and forestry, as well as for cosmetic reasons. 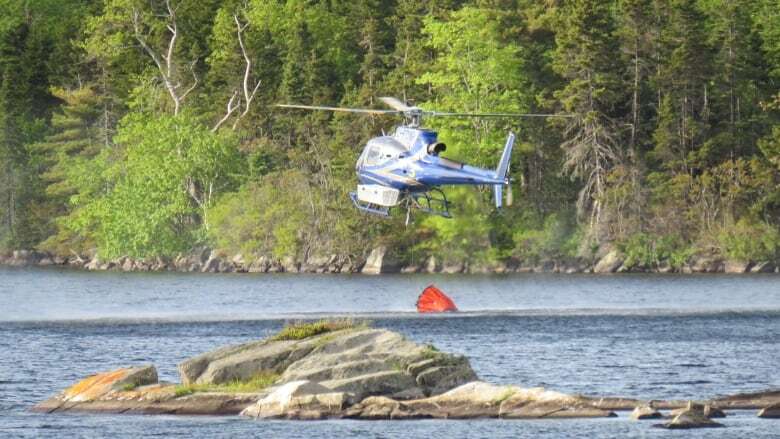 …Jamie Simpson, a Nova Scotia-based professional forester and environmental lawyer, said he believes there is value in further study of glyphosate by the federal government. “Certainly, having a more in-depth look at the science around it is never a bad idea,” he said. “Not only for human health but there’s also concern about the health of wildlife that eats the stuff that has been sprayed.” Simpson said the use of glyphosate in forestry could be greatly reduced or eliminated if companies employed a more holistic approach to clear-cutting. The top of Mount St. Helens was obscured by clouds on a late May afternoon when a conservationist and a timber company executive admired the view from the McClellan viewpoint. No problem. They weren’t there to see the volcano’s snowy summit. They were there to see the forested hills below the rim, which stood out clearly. …“See the clearcuts and forest at various stages of forestry? That’s essentially what we preserved,” said Cherie Kearney, Columbia Land Trust forest conservation director. …She was pointing to 24,000 acres of timberland — most of it owned by Poulsbo-based Pope Resources. …Back then, a housing boom in this isolated part of Skamania County threatened to replace the forest with clusters of subdivisions and hundreds of homes. …Pope will continue operating it as timberland while guaranteeing the land will never be developed. Imagine a 300-mile trail from San Francisco Bay to Humboldt Bay taking hikers, bicycle and horseback riders through a stunning North Coast river canyon and old growth redwood forests. It would cost untold millions of dollars and won’t come soon, but the idea for what’s called the Great Redwood Trail is embodied in state Sen. Mike McGuire’s bill, which would also abolish a debt-ridden public agency and put commuter train operator Sonoma-Marin Area Rail Transit in charge of railroad freight service in its two counties. The buzz is all about a trail along railroad tracks through some territory most people have never seen and which advocates are likening to the 210-mile John Muir Trail through the Sierra Nevada. 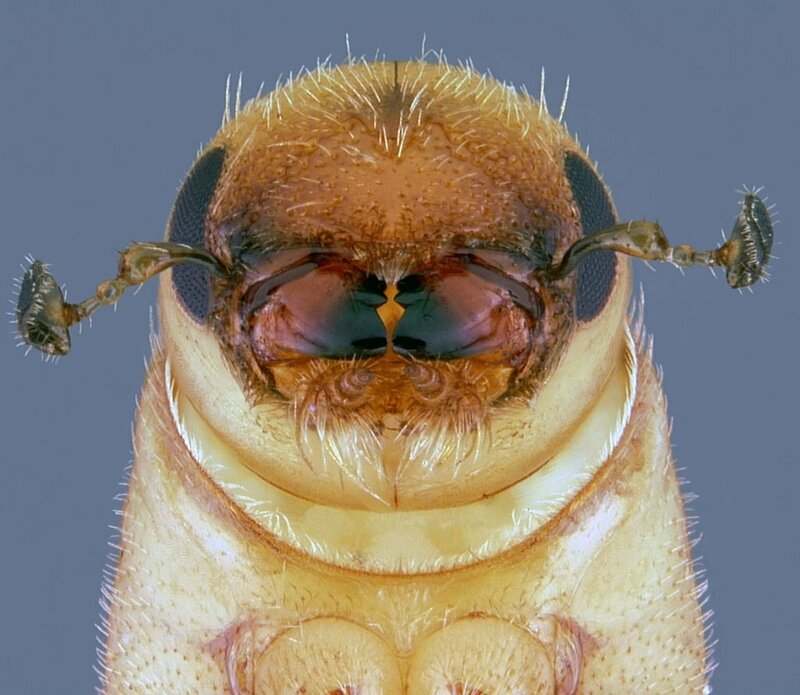 ALBANY, N.Y. — new research suggests southern pine beetle’s tree-killing prowess could be magnified in cooler climes. Once unheard-of north of Delaware, southern pine beetles have been steadily expanding their range as the climate warms. …The insect could reach Nova Scotia by 2020 and cover forests from the upper Midwest to Maine by 2080, according to a Columbia University study published in the journal Nature Climate Change in August. Now there’s more bad news in a new study from Dartmouth College: Cooler fall and winter temperatures in this new range increase the beetle’s destructive potential. That’s because larvae developing in the fall are put on hold as pupae when the temperature drops below 50 degrees Fahrenheit, to emerge as adults for a mass killing spree in springtime. The researchers found that in warmer regions, beetles mature at various times rather than all at once. In my last article, I explained the impact of the forest industry on the state of Florida and its economy. This article will focus on statistics statewide as well as locally. I apologize for the extent of the statistics presented herein; however, they do provide a better picture of the importance of timberland and forestry in Florida as well as our immediate area. Florida has just over 17 million acres of forest land, or 47 percent of the total land area in Florida. Pine and other softwood forests comprise 44 percent of this acreage and hardwoods make up another 44 percent. Florida also uniquely claims 700,000 acres of tropical hardwoods, or 4 percent of the total. …There is a total of 74 wood-using mills in Florida, 32 of which are sawmills. At the Great Lakes Forage & Grazing Conference on March 7, 2018 in St. Johns, MI, an enthusiastic crowd listened to Brett Chedsvoy, a Cornell University Extension Educator, forester, and cattle grazier speak on the practice of Silvopasture. Silvopasture is an advanced managed version of the age old practice of grazing livestock in woodlot settings. …Many Michigan farms already graze some woodlands and brushy areas as a part of their summer grazing routine. What the Cornell University foresters and livestock grazing staff have been doing over the last ten plus years is applying more research and science to the practice to improve resource productivity, profitability and the environmental integrity of the practice and thus have raised it to the level of Silvopasturing. HALIFAX—Dozens of families were evacuated Sunday evening as crews battled a major forest fire in a popular hiking area of Cole Harbour. Just before 6:30 p.m., Halifax Fire said via Twitter they were asking people in about 100 homes on Astral Drive and Beaver Crescent to leave the area as a precaution, as they faced an “out of control forest fire” in the Salt Marsh Trail. The fire service said about eight hectares of wooded area was on fire. The main fire is burning in steep spruce-fir timber 5 miles up the Bear Creek trail on the south side of the canyon. On Friday, embers triggered spot fires on the north side of the canyon. About 130 wildland firefighters are on scene, and there is zero percent containment. Hand crews on Sunday focused their efforts near roads on the southern end of the fire, where the mixed conifer timber, including dead or fallen ponderosa pine and fir, was more dense. The steep, rugged terrain of the Bear Creek area has limited crews’ mobility. …Tree moisture was measured at just 80 percent, when normally at this time of year they are at 200 percent, Thumm said. “The trees are stressed and dry, and ready to burn.” …Fire modeling shows there is potential for the Burro Fire and nearby 416 Fire to merge. …There have been no injuries or structures lost due to the Burro Fire. DURANGO, Colorado — A growing wildfire burning in southwestern Colorado forced more people from their homes Sunday as crews tried to slow the blaze being fed by continued hot, dry and windy conditions. Authorities ordered the residents of 675 homes to evacuate after the fire burning north of Durango nearly doubled in size overnight to 26 square miles. Residents of a total of 2,156 homes have been ordered to evacuate as of Sunday afternoon, La Plata County spokeswoman Megan Graham told The Durango Herald. No homes have been lost to the fire, which is 10 percent contained. We’ve come a long way, but there is still a ways to go. This was a prevailing sentiment from industry leaders speaking at the Canadian Bioeconomy Conference and Exhibition that took place in Prince George this week. “Sometimes we forget that we are a fledgling industry,” Rob McCurdy, CEO of pellet producer Pinnacle Renewable Energy, told the crowd. “People are just starting to understand that we are comparable to wind and solar. It takes time. Don’t give up.” McCurdy, speaking as part of an executive panel that launched the conference on Day 1, said Canadian pellets are world recognized as a quality product, but there are challenges faced by the industry, one of which is demonstrating to international buyers the sustainability of their end product. 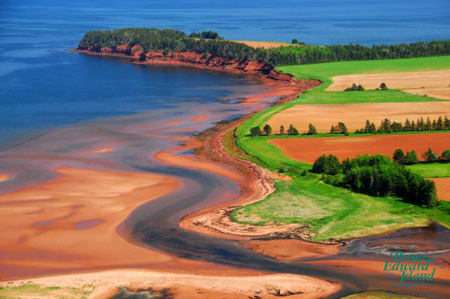 STRATFORD, PEI – Canada and Prince Edward Island are working together to take climate action and find solutions to help Canadians save money, reduce energy waste, create jobs, and support healthy communities. Today, the Minister of Agriculture and Agri-Food, Lawrence MacAulay… and Prince Edward Island’s Minister of Communities, Land and Environment, Richard Brown, announced a federal investment of $23.8 million to help the people of PEI improve energy efficiency in their homes, businesses, industries, and farm operations across the province, as well as reduce carbon pollution in the forestry sector. This joint investment totals $47.8 million. …the Expanding and Managing Forests for Carbon Sequestration program will also receive funding. This program will enhance the capacity of carbon storage through the conversion and development of new forests on idle and less productive agricultural land.